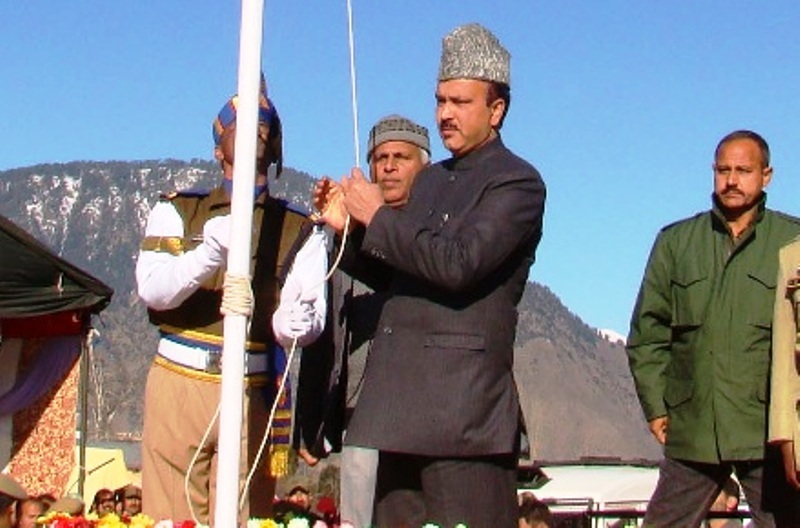 While expressing satisfaction over smooth and peaceful Republic Day functions across the state , Minister of State (MoS) for Home, Sajjad Ahmad Kichloo said bridging the gap between police and people of the state would be his top priority in the coming days. He said the government would take every step necessary for ensuring smooth and people friendly policing in the state. “I congratulate and thank people for extending support in conducting smooth and peaceful celebratory functions in all parts of the state. I firmly believe in strong friendly relations between police and the public and would take necessary steps to build confidence among people of the state”, Kichloo told 5Dariya NEWS on the sidelines of ‘At-Home’ hosted by the Governor N N Vohra at his residence here on the 64th Republic Day. He said that he was contemplating measures for ensuring the systems of accountability in the state police are strengthened. “We will interact with people and encourage them to come forward with their grievances and complaints. Meetings at district levels will be held to ensure accountability in the system apart from people friendly policing”, Kichloo said. He said the government is committed to ensure there are no excesses against people at the hands of police and stern action would be taken in such cases against anyone found involved. “Though there are hardly any complaints of excesses or HR violations, but we would ensure that people feel confident and come closer to the police and civil administration”. Regarding certain complaints regarding ill treatment meted out to inmates of various jails, the Minister said, “I will personally visit different jails in the state to take first hand stock of the situation. We will ensure that no such complaints come in the future and take corrective action wherever needed “, he added.